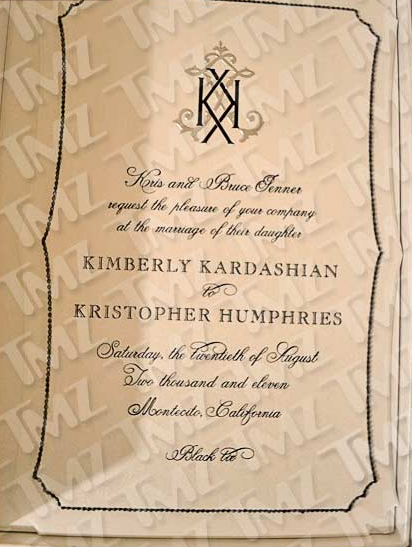 Here is a pic that TMZ got of Kim Kardashian and Kris Humphries’ wedding invitation. Very simple, very elegant. What else, right? The ceremony will be in Montecito, California on Saturday, August 20th. We will get a clearer photo up as soon as it arrives….